BELLVILLE — Clear Fork’s historic football season has ended, but the post-season accolades continue. Four Colts players from the 12-1 regional finalist squad earned all-Ohio recognition with seniors Hunter Tollison and Jared Schaefer receiving first-team honors. The Division IV football All-Ohio team was announced Monday by a statewide media panel. The teams were selected by members of the Ohio Prep Sportswriters Association. 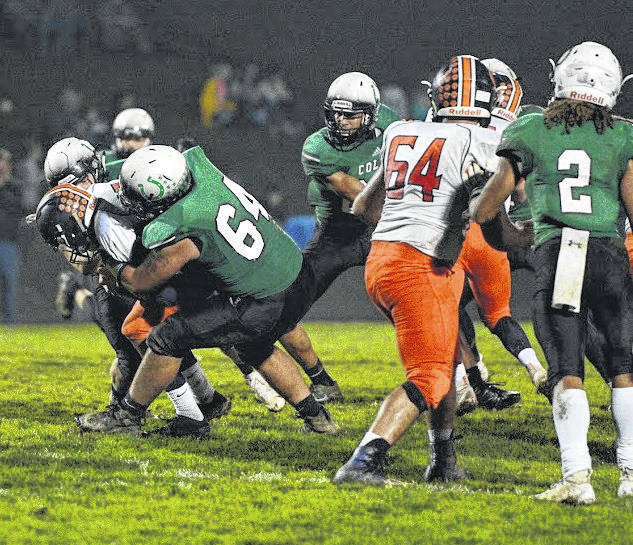 Tollison, a 6-2, 295-pound two-way anchor, was a mainstay of Clear Fork’s line provided blocking and tackling that enabled the school to put up record numbers. The Colts averaged more than 40 points per game during its record setting season. He also registered 42 tackles and 3 sacks from his defensive line spot. Schaefer, a 6-2, 190-pound quarterback and linebacker, was selected as a defensive back. He threw for 1,306 yards and rushed for 585 more, accounting for 24 total TDs, with 14 passing and 10 on the ground. On defense, Schaefer had 57 tackles. Two other players merited Special Mention. Trevon Trammell and Michael Chillemi both enjoyed fine senior seasons for the Colts. Trammell rushed for 1,373 yards and scored 19 touchdowns. He added 326 yards receiving and 5 scores. Chillemi was a key blocker and top tackler, recording 71 stops and 8 sacks for a stingy defense. 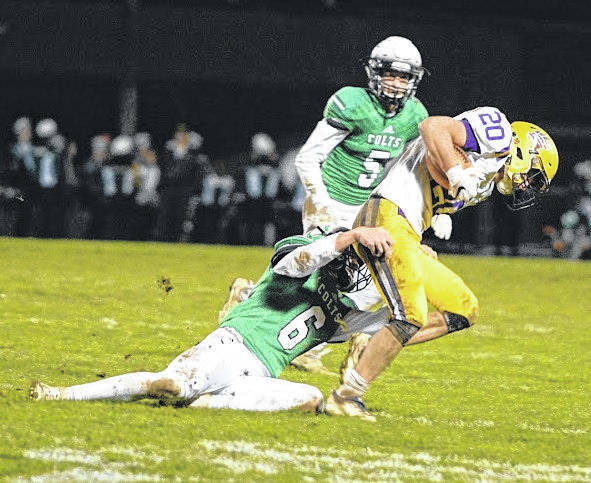 Clear Fork set a school record for wins with 12 and won the Mid Ohio Athletic Conference title and two playoff games over Bryan and Lorain Clearview. The season ended with a loss to perennial power St. Marys Memorial. Colts lineman Hunter Tollison was chosen first team all-Ohio as an offensive lineman. Here he sacks a Galion player. https://www.thebellvillestar.com/wp-content/uploads/sites/39/2018/11/web1_64-sacks-Galion-1.jpgColts lineman Hunter Tollison was chosen first team all-Ohio as an offensive lineman. Here he sacks a Galion player. Clear Fork’s Jared Schaefer earned first team all-Ohio as a defensive back. He’s shown making a tackle against Bryan in a playoff game. https://www.thebellvillestar.com/wp-content/uploads/sites/39/2018/11/web1_Schaefer-tackle-vs.-Bryan-1.jpgClear Fork’s Jared Schaefer earned first team all-Ohio as a defensive back. He’s shown making a tackle against Bryan in a playoff game.